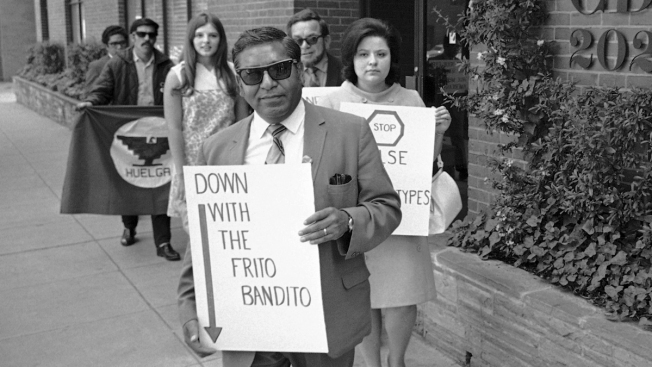 In this May 5, 1969, file photo, Armando Rodriguez, foreground, director of the Office of Education, part of the U.S. Department of Health, Education, and Welfare, lead demonstrators in front of the Columbia Broadcasting Company's Washington studios protest what they called "the mass media's continued discrimination and demeaning characterizations of Mexican-Americans." Rodriguez, a Mexican immigrant and World War II veteran went on served under four American presidents while pressing for civil rights, died Sunday, Feb. 17, 2019. He was 97. Armando M. Rodriguez, a Mexican immigrant and World War II veteran who served in the administrations of four U.S. presidents while pressing for civil rights and education reforms, has died. Christy Rodriguez, his daughter, said Wednesday her father died Sunday at their San Diego home from complications of a stroke. He was 97. 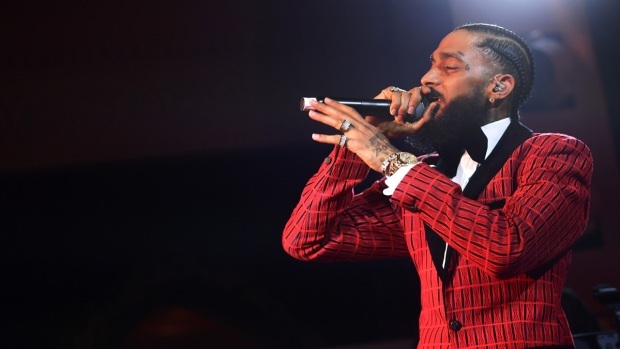 He had been ailing from a variety of illnesses in recent years, she said. Born in Gomez Palacio, Mexico, Rodriguez came to San Diego with his family as a 6-year-old in 1927. But he was forced to return to Mexico after his father was deported during the mass deportations of the 1930s during the Great Depression. A young Rodriguez lived in Mexico for a year before the family could return. "He barely spoke Spanish," Christy Rodriguez said. After the Japanese bombed Pearl Harbor in 1941, some of his Mexican immigrant friends fled to Mexico to avoid military service. Rodriguez, however, joined the U.S. Army. "It was not a difficult choice," Rodriguez told the Voces Oral History Project at the University of Texas in August 2000. Following the war, Rodriguez graduated from San Diego State University and worked as a teacher and joined the Mexican-American civil rights movement after witnessing his fellow Latino veterans being denied house and facing discrimination. He led Southern California's Viva Kennedy campaign, the effort to increase Latino voter support for John F. Kennedy's presidential run in 1960. Rodriguez founded a chapter of the veterans' American GI Forum civil rights group in San Diego as a junior high school teacher. President Lyndon Johnson appointed him chief of the U.S. Department of Health, Education and Welfare's Office of Spanish Speaking American Affairs. President Richard Nixon later named him assistant commissioner of education in the Office of Regional Office Coordination. Rodriguez returned to California to become the first Latino president of East L.A. College. In 1978, President Jimmy Carter appointed him to serve on the Equal Employment Opportunity Commission. Rodriguez continued to serve on the commission under President Ronald Reagan until stepping down in 1983. Later in life, Rodriguez continued to advocate for educational opportunities for Latinos. But Rodriguez told the Voces Oral History Project that he had always wished he has been able to do more. 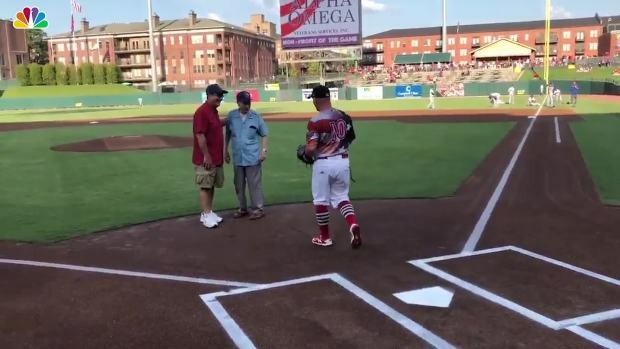 A 104-year-old Army veteran who fought in World War II threw out the first pitch at a minor league baseball game on July 4. "The legacy you leave is what you were worth while you were here," Rodriguez said.